Dumb and Dumber To: After Lloyd has spent 20 years pretending to be catatonic, Harry tells him he needs a kidney, sending them on a quest to find Harry’s adopted daughter. 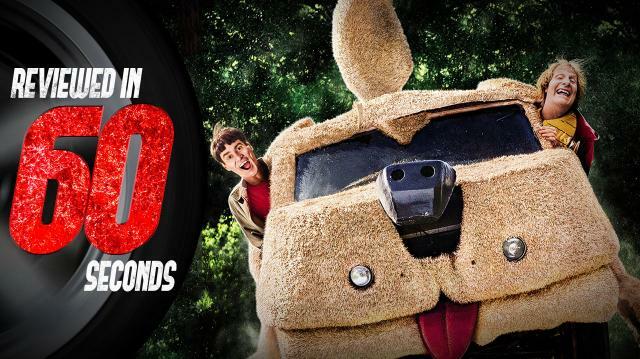 After two decades of leaving us waiting, the Farrelly brothers, Jim Carrey, and Jeff Daniels have finally brought us a legitimate sequel to Dumb and Dumber, and the timing couldn’t be better. If you need a break from ISIS, ebola, or political correctness, go see this movie and prepare to shut your brain off for a couple hours. It’s by no means a good movie, but neither was Dumb and Dumber. Just like it’s predecessor, it has a loosely weaved narrative that’s only purpose is to carry fast-paced stupid, gross, and offensive jokes. This movie does not give a crap. It doesn’t care if you think it’s racist and it doesn’t care about your feminist concerns about women and body image. If you find yourself offended, remember that these guys are not supposed to be the type we aspire to be like. This is a 90s movie made in 2014. If you find yourself sick of 2014 from time to time, you will get a big kick out of it. So we’re giving it three and a half chocolate cupcakes out of five. Why chocolate cupcakes? See the movie to find out. Dumb and Dumber To is now in theaters.